From the author of the award-winning international bestseller Half-Blood Blues comes a dazzling new novel, about a boy who rises from the ashes of slavery to become a free man of the world. Washington Black is an eleven-year-old field slave who knows no other life than the Barbados sugar plantation where he was born. When his master's eccentric brother chooses him to be his manservant, Wash is terrified of the cruelties he is certain await him. But Christopher Wilde, or "Titch," is a naturalist, explorer, scientist, inventor, and abolitionist. He initiates Wash into a world where a flying machine can carry a man across the sky; where two people, separated by an impossible divide, might begin to see each other as human; and where a boy born in chains can embrace a life of dignity and meaning. But when a man is killed and a bounty is placed on Wash's head, Titch abandons everything to save him. What follows is their flight along the eastern coast of America, and, finally, to a remote outpost in the Arctic, where Wash, left on his own, must invent another new life, one which will propel him further across the globe. From the sultry cane fields of the Caribbean to the frozen Far North, Washington Black tells a story of friendship and betrayal, love and redemption, of a world destroyed and made whole again--and asks the question, what is true freedom? 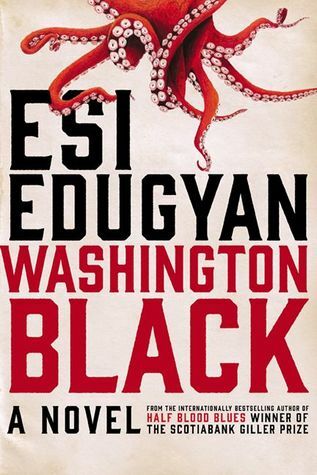 Washington Black is the winner of the 2018 Giller Award and a few others, I am not one that is attracted by awards in fact past experience usually has me steering clear of them. What attracted me to Washington Black was the blurb, Barbados is one of my favorite places and I love to read of places I've visited. Maybe if I had read more of the blurb I might have taken a second look but I was smitten right away. I will confess to not always reading entire blurbs, sometimes I feel they give too much of the story away and take away the element of surprise. I was drawn into Washington's story right away, I loved the Barbados setting and reading about the island, the lifestyle and running of a sugar plantation. The writing was exquisite, I could visualize the land and got to know the characters. Even as the story progressed to different locations it was well written, but there were a number of different locations and after a while, I found my interest waning. So why only 3 stars? A number of reasons, I found it too long and started to lose interest just past the halfway mark. There are a number of locations with its own set of characters after a while it just got a bit much for me. Some of the coincidences seemed a little unbelievable as well. The author touches on real historical situations here (ie the Underground Railroad, outposts in the Arctic and even Aquariums in London) I would have loved some author notes to expound on those topics. Told from Washington's POV I wondered if going the audio route might have worked better for me.